These never-worn bone leather upper wedge shoes have a manmade balance. They are by Seychelles and they have faux cork wedges. There is gathering around the toe area and tie straps on the vamps. They have padded insoles with gold lame faux leather linings and insoles. 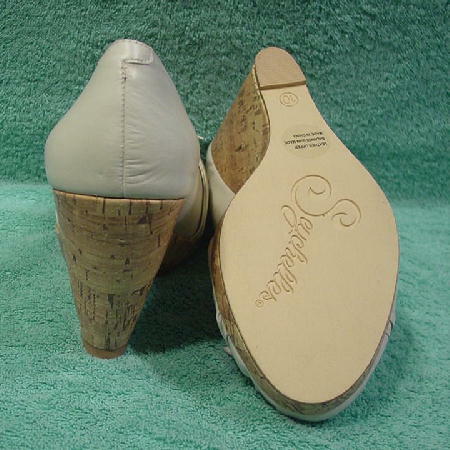 Seychelles is etched on the bottom soles. They have their own black bag and box.